Now in 2nd Edition! 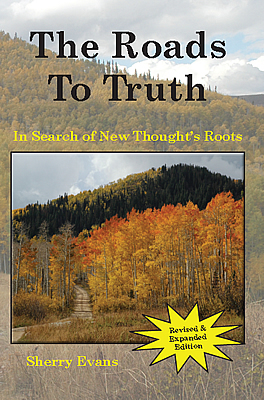 Featuring two new chapters on the Unity Church and further background on the many "isms" and "ologies" encountered along the roads to truth. Many people have never heard the term New Thought, yet most know what New Thought is. They just don't know that they know. Ever hear of the positive thinking of Norman Vincent Peale, the Seven Habits of Stephen R. Covey, or the Be-Happy-Attitudes of Robert Schuller? Familiar with the concepts of self-fulfilling prophecy, psycho-somatic illness, the placebo effect, and whatever you send out into the world coming back to you? Acquainted with the concept of God being within each of us and in all of nature? Aware that your thoughts play a crucial role in the kind of life you experience? If so, then you know about New Thought. Many others confuse New Thought with New Age. They are not the same. New Thought is philosophy, psychology and religion. Elements of New Thought can be found running through most "pop" psychology and is espoused by virtually all of the success and motivational gurus. None of the authors and speakers in these genres use the term New Thought, but New Thought is the fount from which their ideas flow. It is the basis for their various psychologies of happy and successful living. They just leave God out of the formula, or leave God in but call it something else--like energy, or love, or passion, or the source of inspiration. New Thought actually is a broad term which covers numerous ideologies, all of which are subsumed under an even broader term--metaphysics. But all the ideologies have one thing, at least, in common-they are all in agreement as to the role that our thoughts play in our lives. In fact, our thoughts are our lives. Thought reigns supreme. From this basic idea, philosophies were built, churches were founded, people were healed of physical and psychological ailments, wealth was accumulated, careers were launched, and success was attained.